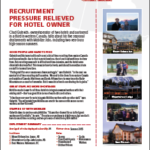 The Best Western Valemount struggled to stay operational due to severe staffing shortages – they simply couldn’t attract enough people to meet demand. The result was too few people working too many hours, which led to overworked, burned-out employees. 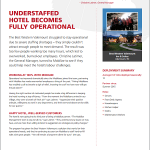 Christine Latimer, the General Manager, turned to Mobilize to see if they could help meet the hotel’s labour challenges. Mobilize is growing! 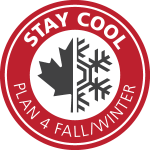 Employers are experiencing all the benefits of our seasonal staffing model, and we’re placing more and more young Canadians in businesses across the country to meet shortages in industries that have traditionally faced big staffing challenges. 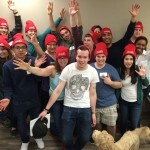 In the last six months we placed over 200 Mobilize workers throughout Canada, at 20 member properties in British Columbia, Alberta, Saskatchewan, Manitoba, Ontario and Yukon. Since launching in 2014, the program has placed more than 350 young Canadians across the country, with great feedback from member properties. 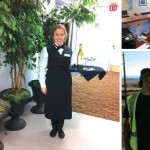 Mobilize is solving some serious labour shortage problems in service-based industries such as the tourism and hospitality sectors. The program, launched in response to changes to the Temporary Foreign Worker Program (TFWP), helps labour-strapped businesses across Canada staff up with a continuous source of young workers from other parts of the country. Labour shortage? Make it easy for millennials to work for you! 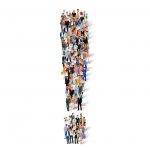 In the last few posts, we’ve talked about some of the challenges of hiring millennials – and how employers can use our insights to attract them to industries facing a labour shortage. 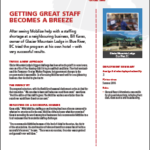 We’ve covered the need to make the experience exciting, educational, career-focused and structured. In this post, we share the fifth and final insight gained from talking to and working with millennials: employers need to make the experience easy. 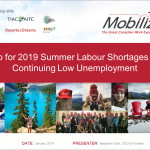 After a successful initial year in the field, Mobilize Jobs has proven that tapping underemployed Canadian millennials is a viable alternative to using the Temporary Foreign Worker Program (TFWP) to fill seasonal labour shortages. We’ve learned a lot in our first year, with plenty of valuable feedback from participating businesses and workers. As a result, we are making a few changes to provide more flexibility for both employers and millennials on work adventures. While examining what’s key to hiring millennials into hard-to-staff jobs, we encountered a surprising insight. They want to know exactly when they’ll start working, and more importantly, when they will finish. This desire for structure is one of the most interesting lessons we’ve learned about working with millennials while running the Mobilize program.